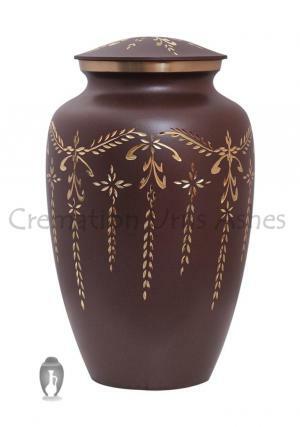 Large Fancy Flourish Brass Funeral Urn for ashes is crafted from pure brass metal and moulded well to perfection. 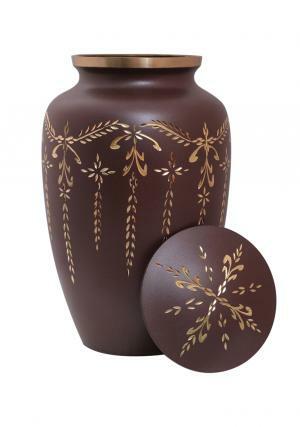 The adult maroon ashes urn is hand engraved and beautifully hand painted in garland of hanging leaves. 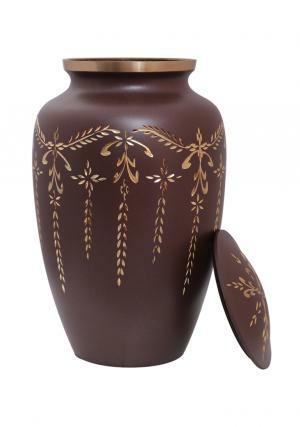 The Large brass adult urn has a threaded lid as a top opening of the urn to secure adult ashes of the loved ones on insertion. 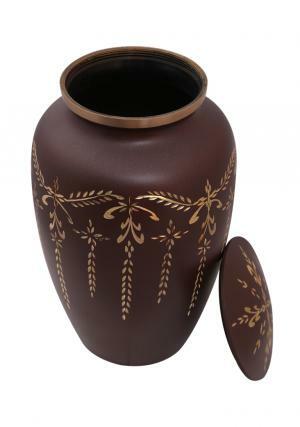 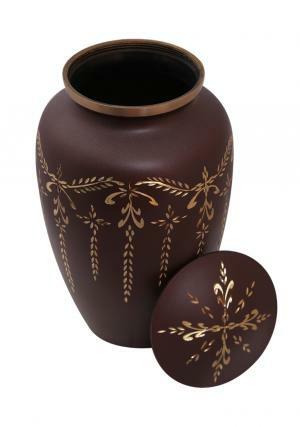 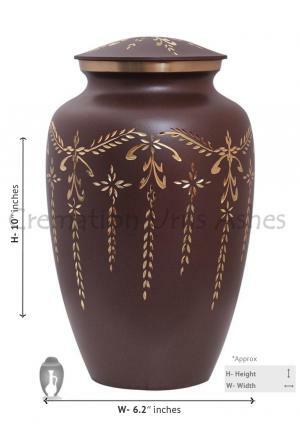 The large adult urn weighs 2.08 Kg, measures to be 10 inch tall and measures 200 cubic inch of human adult ashes.